Hardcover, 3 vols., 9.75 x 13.75 in. / 416 pgs / 350 color. 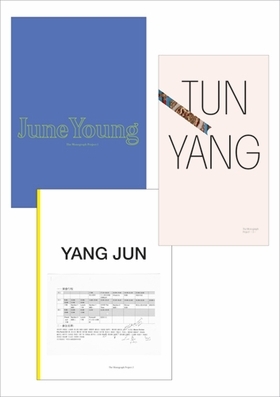 Based in Vienna, Taipei and Yokohama, Chinese artist Jun Yang (born 1975) explores how cultural contexts and environments construct individual identities. 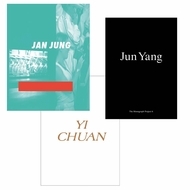 Three volumes, which form the first part of the monograph, chronicle the artist's work with film and public installation. Text by Claudia Büttner, Martin Fritz, Holger Kube Ventura, Jeff Leung, Barbara Steiner, Jun Yang. FORMAT: Hbk, 3 vols., 9.75 x 13.75 in. / 416 pgs / 350 color.